I have good news, my friends. It turns out that I am not quite as incompetent a Mother as I thought! 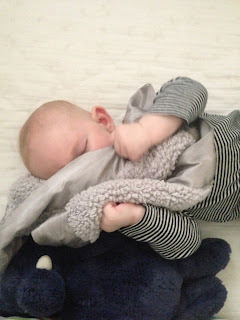 Last Friday I spent most of the day in a seminar titled "How to Get Your Baby to Sleep Through the Night". While I did pick up a few good tips, I think the most valuable lesson I learned is that there are quite a few Mommies out there who are even more clueless than I am. You meet a lot of "interesting" people living in Los Angeles, especially in these Mommy groups, and Friday was no exception. Every cliché was represented: the minor celebrity who brought her nanny and her night nurse to the group, yet complained about being so exhausted because, apparently, paying others to take care of your child can really wipe you out. There was the corporate lawyer Mommy who never actually picks her child up but instead rolls him around the house in his bassinet. And then there was the obsessive compulsive woman who wasn't even pregnant yet but wanted to be prepared for when she decided that having a child fit into her schedule. Sure, my kid isn't sleeping through the night and I make huge mistakes on a daily (sometimes hourly) basis, but I'm a loving, well-intentioned parent just trying to muddle through. We're doing it all on our own with a little bit of help from family. Of course I wish that Noah would sleep longer and that I could shower more often, but I left that seminar feeling like I'm doing okay. I may forget to strap the Muffin Man into his carseat, but at least it's because I'm holding him. Just think about all the therapy the kid who never gets picked up is going to need; possibly even more than my child will.